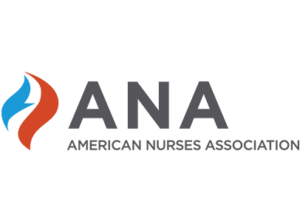 When you join MNA, you have the benefit of being included in a District Nurses Association (DNA). Participating in District meetings provides you an opportunity to connect with your colleagues and keeps you abreast of nursing issues in your local area. You are assigned a DNA based on your county of residence. There are 18 DNAs comprised geographically by counties. Each district is locally guided by district officers elected by the district membership and has its own articles of incorporation and bylaws. Each District Nurses Association sets its own meeting dates. Annually, each district is allotted a number of delegates, based on the overall membership in the district, to act on issues, resolutions and bylaw changes proposed in the House of Delegates. District nurses associations of MNA shall be termed DNAs (District Nurses Association). A DNA may become a constituent of MNA upon approval of its articles of incorporation and other criteria as determined by the MNA Board of Directors. No more than one DNA at a time from any geographic area of Mississippi may become a constituent of MNA. Boundaries of districts are clearly defined and recorded by the MNA Board of Directors. Boundaries may be changed by a two-thirds vote of the MNA. Each DNA adopts and maintains bylaws that conform to the purposes as specified, conform to membership provisions as specified, and provide representation to the MNA House of Delegates as specified in these bylaws. The bylaws must not conflict with the bylaws of MNA or ANA published policies and procedures of the House of Delegates or the Board. The DNA must provide reports to MNA as required.